Last week I had the pleasure of attending two TeachMeets, one in Oxford at Fitzharry’s School organised by Lisa Probert the Head of Languages, and the other one by Suzi Bewell at York University. They worked hard to get a good crowd of teachers there and the atmosphere was really good at both events. Both TeachMeets were Association for Language Learning hub events. It is just great to see so many new hubs springing up all over the country. Another example of someone working hard is Chris Fuller down in the South West. 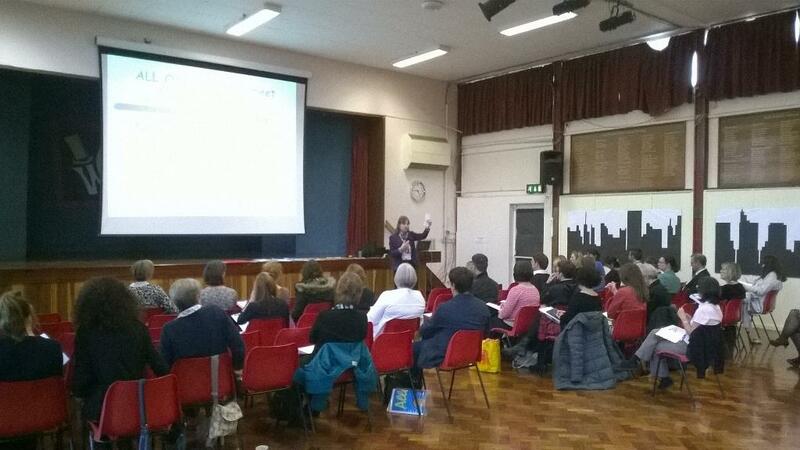 Look at the resources and ideas that were shared under this post Teachmeet MFL Plymouth– oh what a night! On the subject of Chris and the ALL Devon branch, have you heard about the Shelter Box Challenge? What a great way to liven up the house and home theme and help other people as well. Well done Chris for thinking of this! The deadline for the challenge this year is not until 24th June 2015, so you have time to think about this. The first ever TeachMeet was in Scotland in 2006, and they have spread across the world now and all subject areas. A group of teachers met at a pub and the event was described as ‘a meeting of minds’. Ewan McIntosh talks about this on his blog, mentioning in his posts their great value. Teachers want to share ideas regularly and discuss their teaching. Budgets cuts often mean that they cannot attend courses, so meeting informally at a TeachMeet is a great thing to do. You’ll find out new things and be reminded that we have great websites like Languages Online in the UK, but so have other countries and continents, like this one in Victoria. ‘These un-conferences reflect educators’ desire to be more actively involved in their own professional learning. TeachMeets have moved away from the traditional professional learning model of knowledge transfer from ‘expert’ to learner. The TeachMeets purpose is to create and enhance shared knowledge between passionate educators.’ quotation from Social Ventures Australia. Blogs help too, I think. When I was at the Languages Show, Joe Dale made me realise how useful they can be! I’d like to recommend his blog post on the London Network for Languages site about how technology can be integrated into the new languages programmes of study for KS3. There are some really great new ideas here. I really like to try out new things, but sometimes I need to ask a few questions. How about finding out if there is a network of teachers near to you and go along to share some ideas how you use technology in exciting ways to enhance language teaching? And you could share them on this blog too!